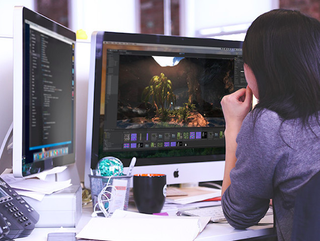 If you’re interested in game development, you’ll need a good grasp on programming and the Unity 5 engine. This Unity 5 Game Hacker Bundle will give you all the skills you need to build your own games with over 30 hours of content. Right now, Kotaku readers can get it for just $39 with code UNITY5 - 90% off MSRP. This comprehensive, 5 course bundle covers everything you’ll need to master game development in Unity 5, the popular engine that powers many of our favorite games today. You’ll get hands on experience building your own mobile and desktop games, master the programming skills needed for game development, and learn the ins-and-outs of Unity 5. All together, this bundle is valued over $450, but Kotaku readers can get lifetime access to these courses for just $39 - 90% off - with code UNITY5 at checkout. Don’t miss out, this offer won’t last long.